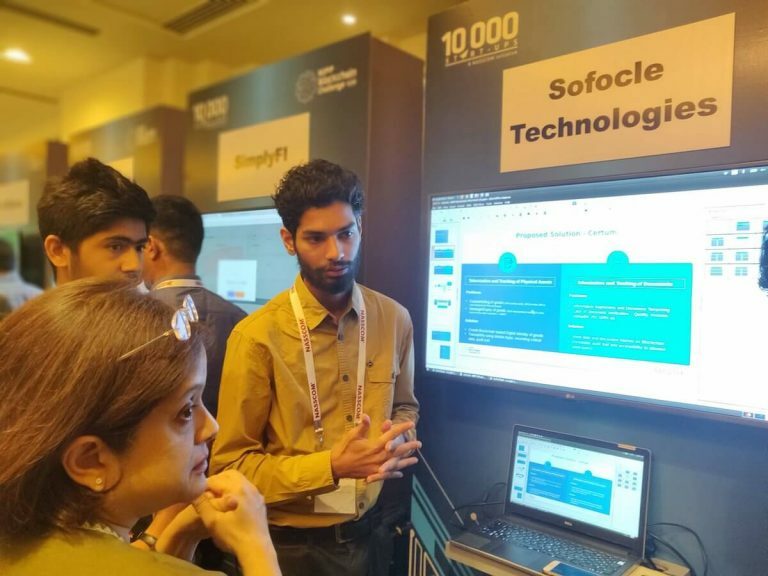 Sofocle Technologies won the “Best accelerated start-up” BOSCH DNA 2.0 for the robust market-ready product 'Certum' amongst 600 participating start-ups. 'Certum' is a supply chain and e-warranty BaaS platform that is designed keeping in mind the pain points of the supply chain ecosystem and e-warranty market. Insurra - A paperless Insurance product with fully automated claims settlement based on Insurance Agreements as Smart Contracts. 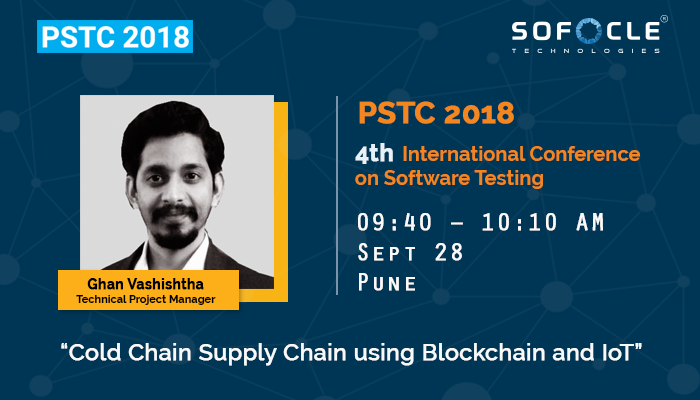 The 4th International Conference on Software Testing, PSTC 2018 held on the 28th of September’ 2018, in Pune, Maharashtra marked the presence of several prominent industry players and technology experts. Mr Ghan Nidhi Vashishtha, Technical Project Manager at Sofocle Technologies participated as a speaker. He spoke at length about the role of Blockchain and IoT in streamlining the cold chain supply chain. Students of IIT Kharagpur got a golden opportunity to witness Dr. Ravi Chamria, as he shared knowledge over Blockchain, its efficiency, ease of process and functionality. Invited as a guest lecturer, he discussed use cases of Blockchain through examples across different fields. The C3I Center, IIT Kanpur & NSC Lab, IIIT Allahabad have organized a Workshop on Blockchain and its Applications on 18th & 19th of August. Varied reputed professors and researchers, including Dr. Ravi Chamria, are invited to deliver knowledge sessions over the futuristic Blockchain Technology, its uses and possibilities. When it comes to set benchmarks and develop disruptive solutions, Sofocle Technologies leaves no stone unturned. 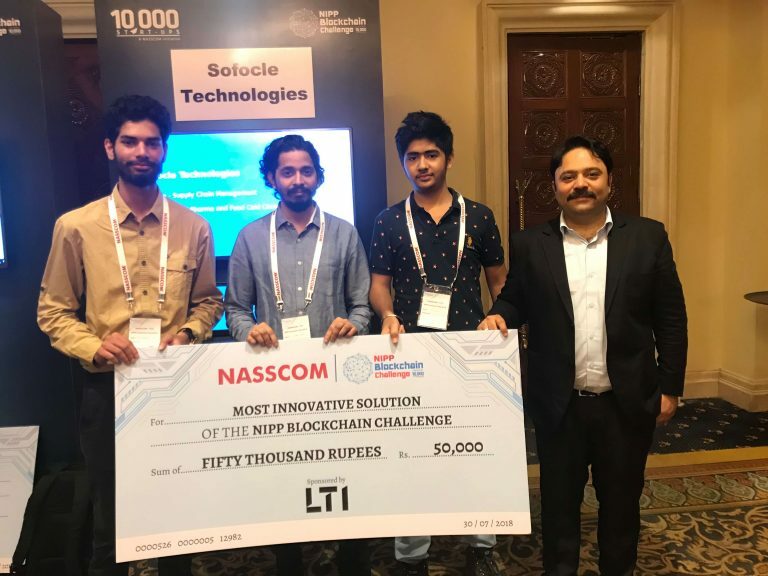 Yet another feather to its hat of accomplishments, SofoChain, the Blockchain based Supply Chain solution of Sofocle, won the award of being the ‘Most Innovative Blockchain Solution’ at #NIPP Challenge, National Hackathon by NASSCOM and #LTI. 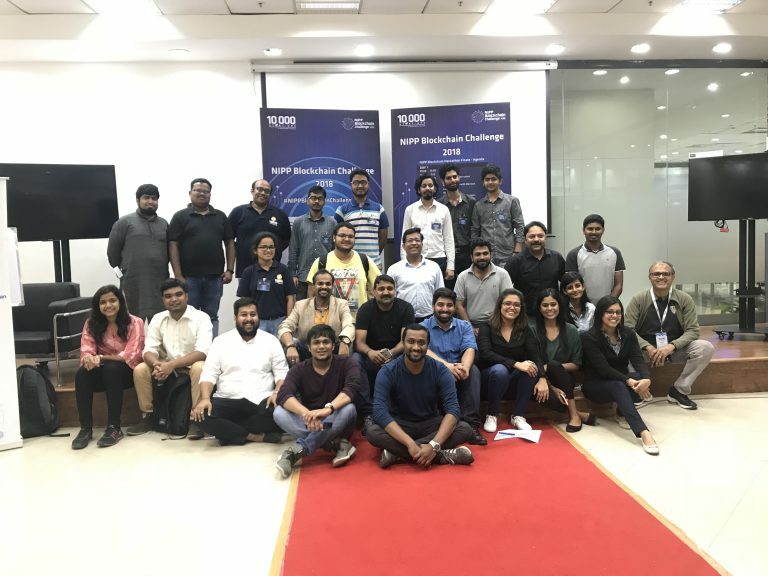 This 3-day event was supported by 10,000 Startups, aiming at facilitating developers, startups and big corporates collaborate and explore the possibilities across Blockchain arena. 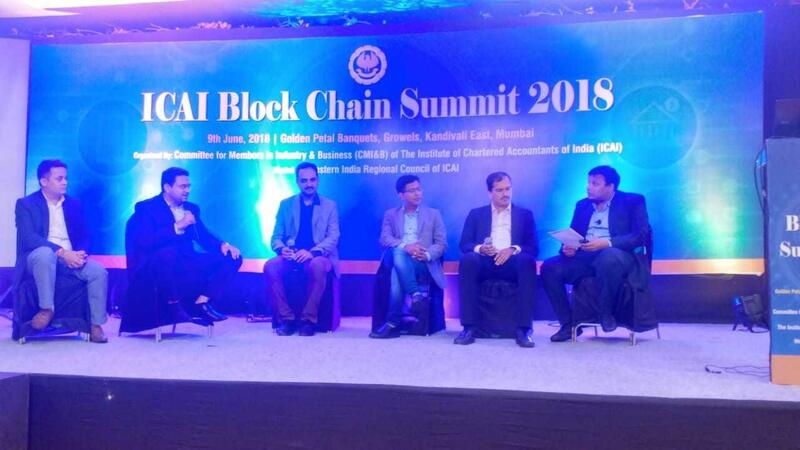 Committee for Professional Accountants in Business & Industry (CPABI) had organized a day long Block Chain summit on the 9th of June’ 2018 at Golden Petal Banquets, Kandivali East, Mumbai. Dr. Ravi Chamria, C.E.O. 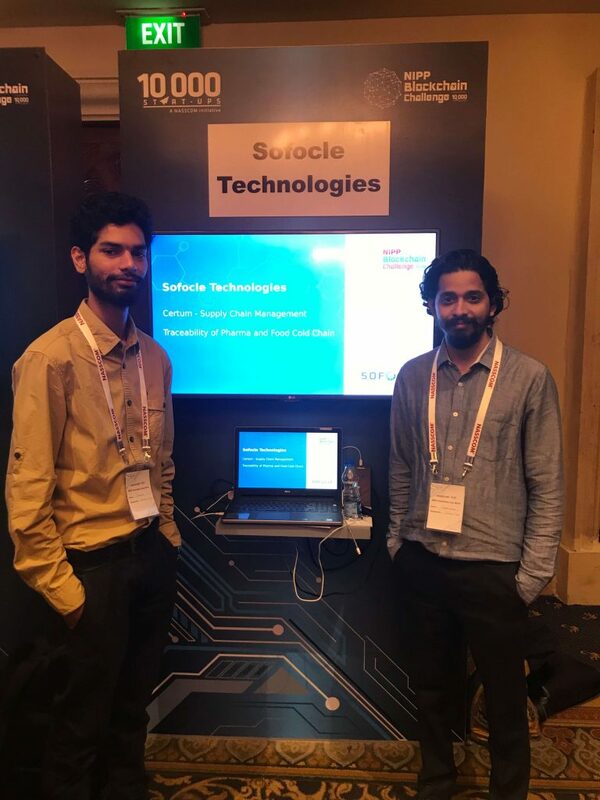 Sofocle Technologies was one of the prominent speakers at the summit. He shared his insights about implementation of Blockchain in the area of 'Financial accounting and auditing'. Benett University, Greater Noida (UP) invited Dr. Ravi Chamria, CEO of Sofocle Technologies to share his knowledge and insights in the Blockchain arena. Dr. Ravi spoke about the benefits of Blockchain implementation in different industries and also shared a small brief about their market-ready product 'sofoChain'. IAMAI (Internet and Mobile Association of India) organized its' flagship event - Fintech X, on the 8th of June’ 2018, at the Taj Lands End hotel, Mumbai. The event witnessed prominent industry players gathering on a common podium to share their views on recent innovations and implications of technology in the FinTech space. Confederation of Indian Industries (CII) organized ‘Madhya Pradesh Logistics Conclave’ on Saturday, 19th of May in Bhopal. The day long conclave brought together different stakeholders of Logistics sector on a common podium. Dr. Ravi Chamria, C.E.O. Sofocle Technologies shared his knowledge and insights on the application of Blockchain technology in the Logistics supply chain ecosystem along with a small brief about their market-ready product ‘sofoChain’- a Blockchain powered supply chain solution.